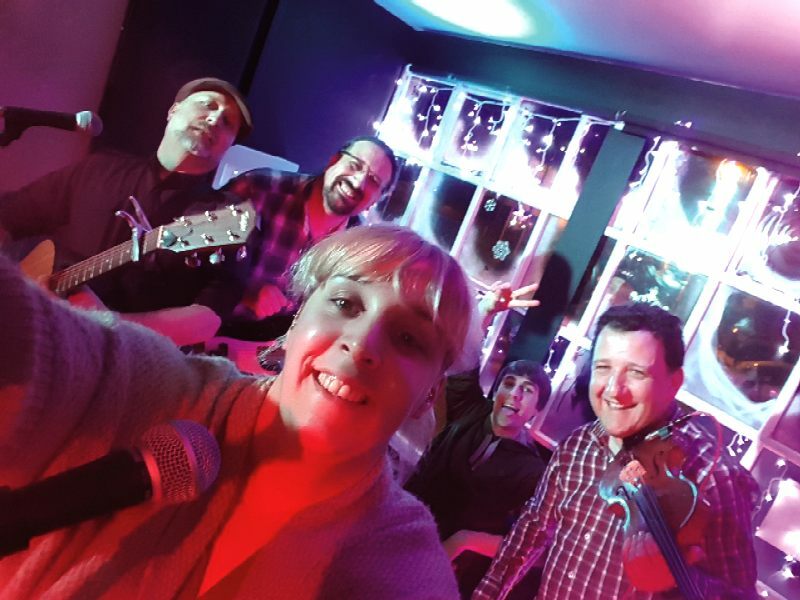 Vocals - A popular member of Coppull Folk Club, Cherlene has a powerful and distinctive voice, with an extensive knowledge of traditional and contemporary songs, she sings both accompanied and acapella. Ukelele bass and electric bass - Paul is a veteran of many bands, some of which have been firmly in the rock area, before settling on his preferred style of acoustic folk with Vision Thing. An accomplished music engineer, he has produced albums for his own bands and others at his studio in Southport. Violin - David plays a 100 year old violin through a variety of effects producing "a tone and texture to die for"
The band play contemporary and traditional songs alongside their own compositions. Vision Thing are looking to play folk clubs, acoustic clubs, charity shows, festivals. We love to play and will be happy to play a guest or floor spot if required.